2DVW, in collaboration with Studie10, wins competition Voorhavenlaan in Ghent. Our proposal for the housing project is about quality, tailored to the wishes of the residents and maximizing the benefits of port and water. 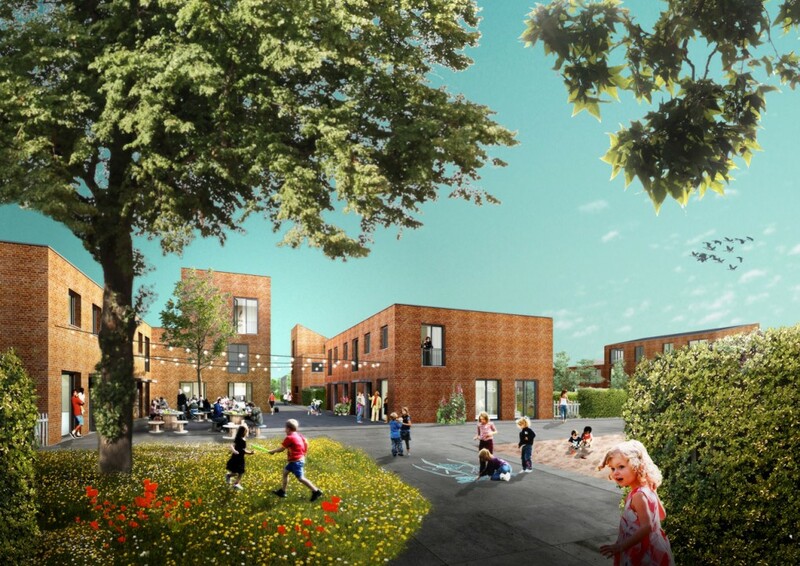 2DVW wins the competition brought by SHM Social Housing arro Leuven (SWaL) in Belgium. The project consists in the design and realization of 12 properties in a development which has already been partially implemented at present. 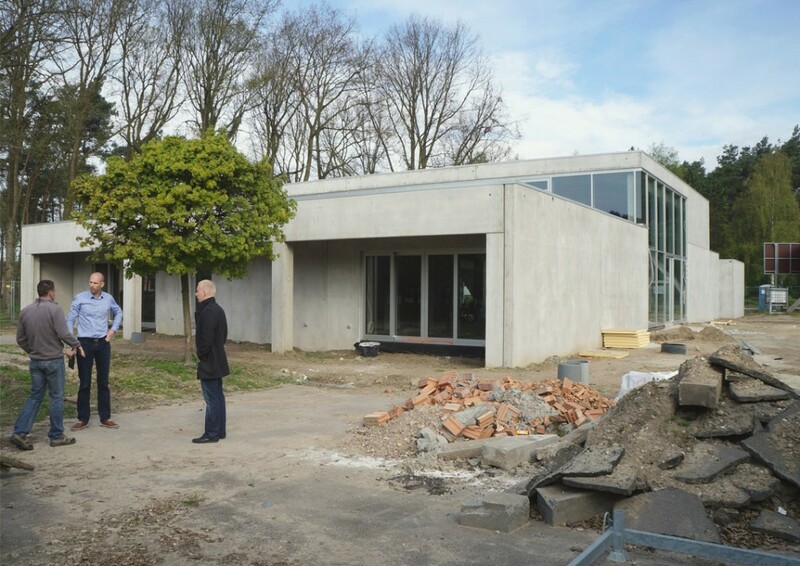 Current images of the building site in Turnhout (BE), where you can see our project Villa Astridlaan (1st prize competition 2012) almost completed. Last year our project DECA Factory Packaging Group has been nominated again. 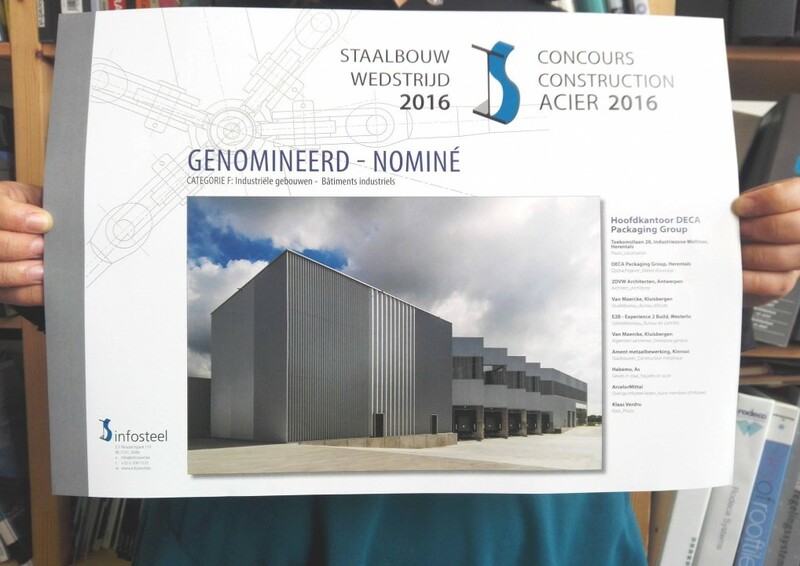 This time for Concours Construction Acier 2016, the annual prize of Infosteel. Current images of the building site in Turnhout (BE) where a lot of progress has been made on our project ‘De Bosschen’ for De Ark. The construction works started in 2016. 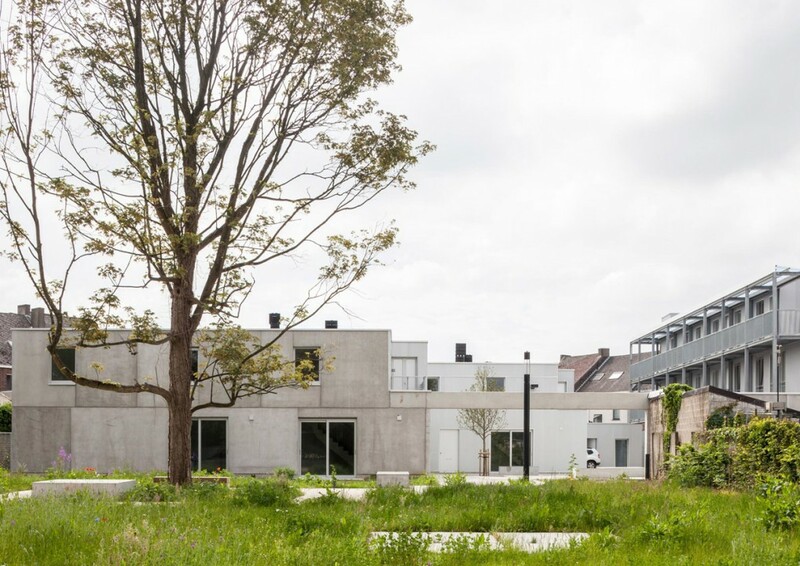 The plan of De Bosschen consists in 50 new houses around a new green public space: family houses in different typologies, group housing for people with special needs and a new public space that links the existing neighbourhoods and the city park. This year 2DVW team celebrated a productive year by visiting completed and under construction building sites (Villa Astrid/Polderparel/De Bosschen /Den Leeuweric/Deca Factory/Woonfabriek Hogeweg). You could see more images on JDWA Facebook page. Deca Packaging Group is nominated for ARC16 Detail! We are happy to announce that Deca Packaging Group is among ARC16 Detail nominees! You can take a look at all nominees here. 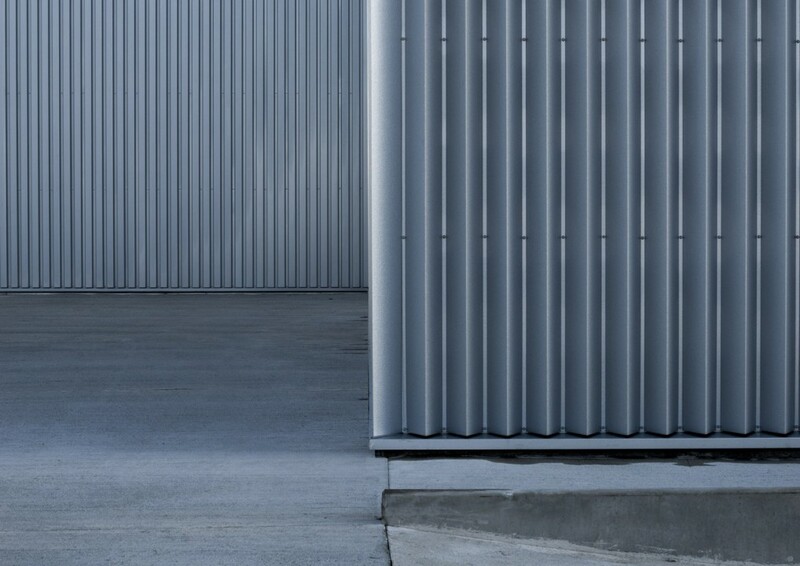 Images by Klaas Verdru. Our freshly finished DECA Packaging Group building was submitted for ARC16 Detail competition. Read more at De Architect (NL). Woonfabriek Hogeweg is published by De Architect. Take a closer look here. Image by Tim van de Velde. You can see new images of Deca Packaging Group office interior here by Klaas Verdru. 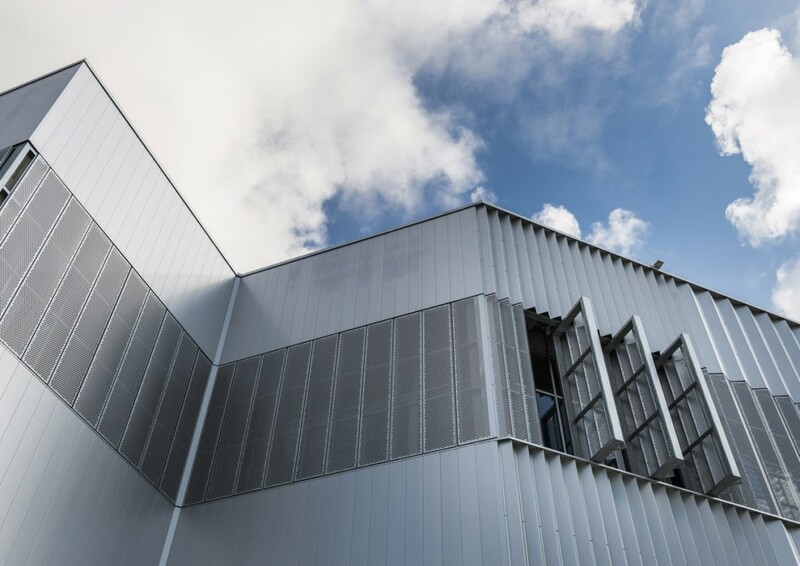 New headquarters for Deca is one of the nominees for the Belgian Steel Prize 2016. JDWA project Woonfabriek Hogeweg is completed. You can see here the first pictures by Tim Van de Velde. Read more at De Architect. 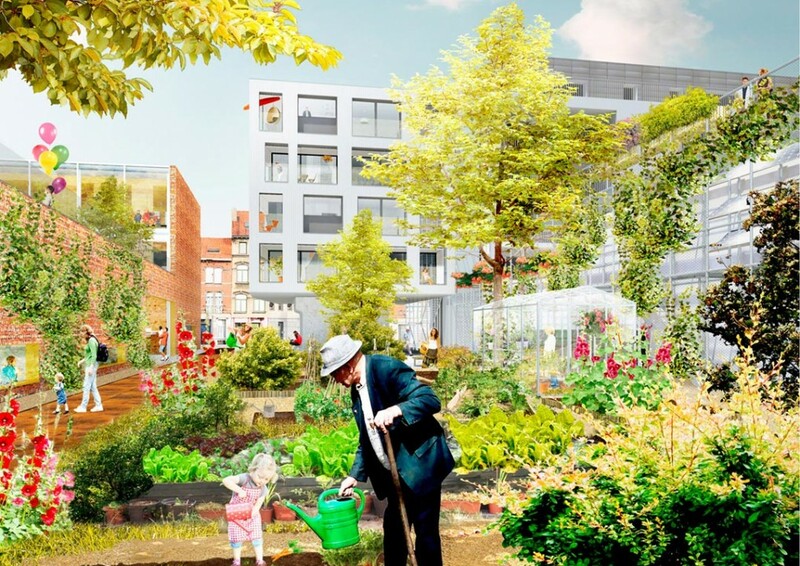 2DVW in collaboration with Duotuin wins competition with “Jardin des Moineaux” [Sparrow Garden] in Brussels: 6 social apartments+community garden+extension school. ‘Heldergemstraat’, the design of 2DVW Architects wins this competition of 24 new houses in Haaltert (BE). The design devides an oblong stretch of land into three distinct living characteristics 1) Yard, 2) Orchard & 3) Belvedere. 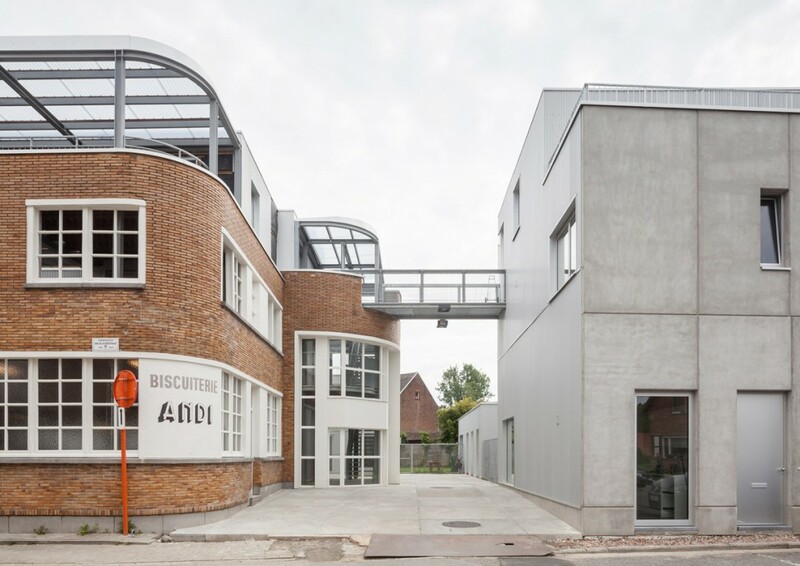 The combination of 2DVW Architects and LapLab wins competition in Aalst, Belgium. Our plan for 54 new houses respects the (water) landscape and integrates sustainable water management with space for new development. 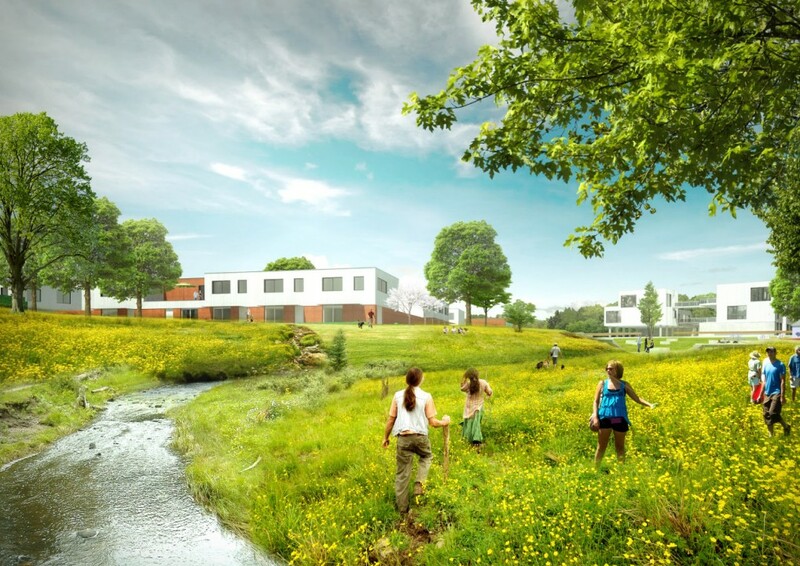 2DVW wins competition with “Welcome in the Flax Garden!”, a design involving a city garden and 34 new houses with parking on the Ascubel site in Kuurne, Belgium. Last Saturday October 18th, the new building for Gigos youthwork opened. We’d like to thank everyone for their efforts. It truly was a nice party and a beautiful start for the Veranda. Current images of the building site in Genk (BE) where a lot of progress has been made on our project ‘The Veranda’ for Gigos Youthwork. 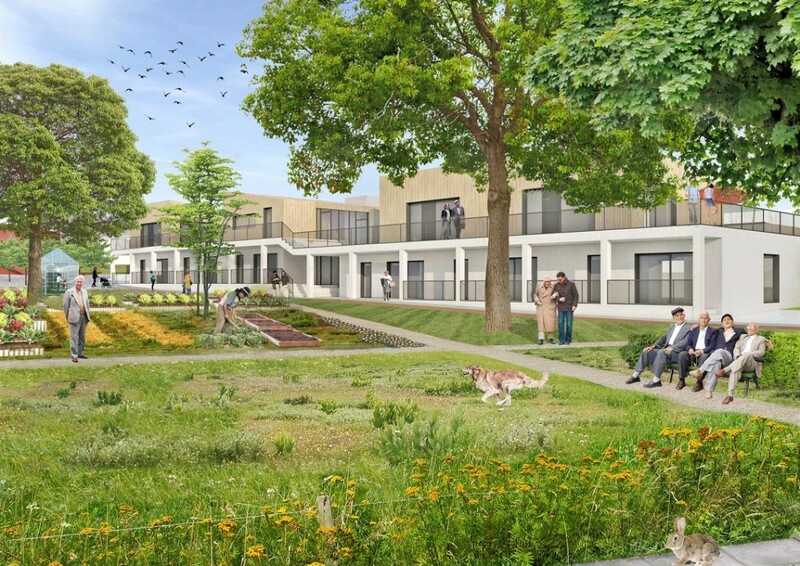 2DVW Architects win first prize in competitions with their designs ‘Dornik Square & Park Villa’ (for the development of a plot in the centre of Geel (BE) and ‘Klimopstraat’ for the Braselwijkarea in Dessel (BE). 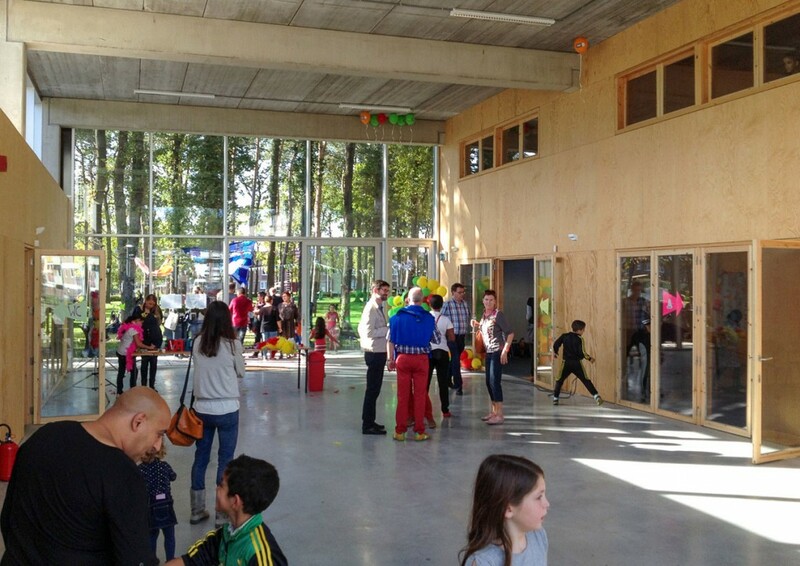 2DVW wins 1st prize in a competition with our design for a sports hall & neighbourhood lounge in Schaarbeek, Belgium! Schaarbeek Municipality in collaboration with Beliris want to integrate neighbourhood services with the “Institut Technique Cardinal Mercier” school. 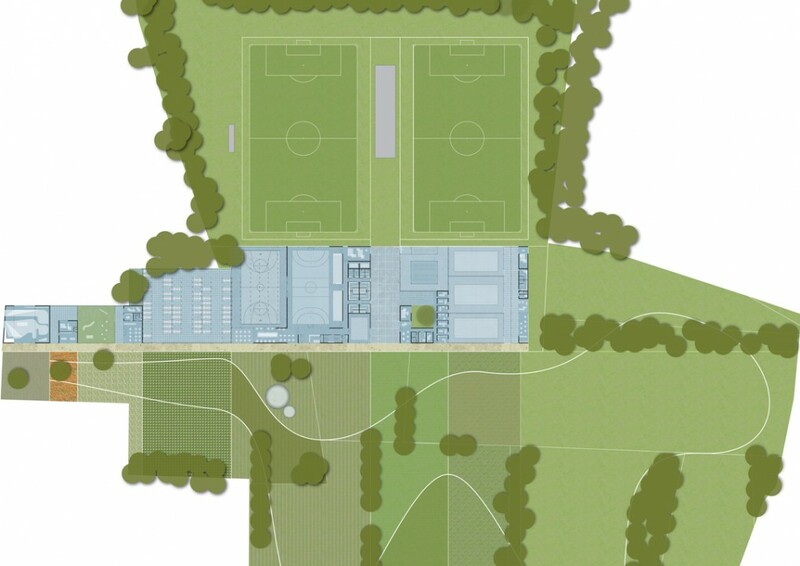 New accomodations consist of a sports hall with dressing rooms, storage ed. and a neighbourhood lounge. 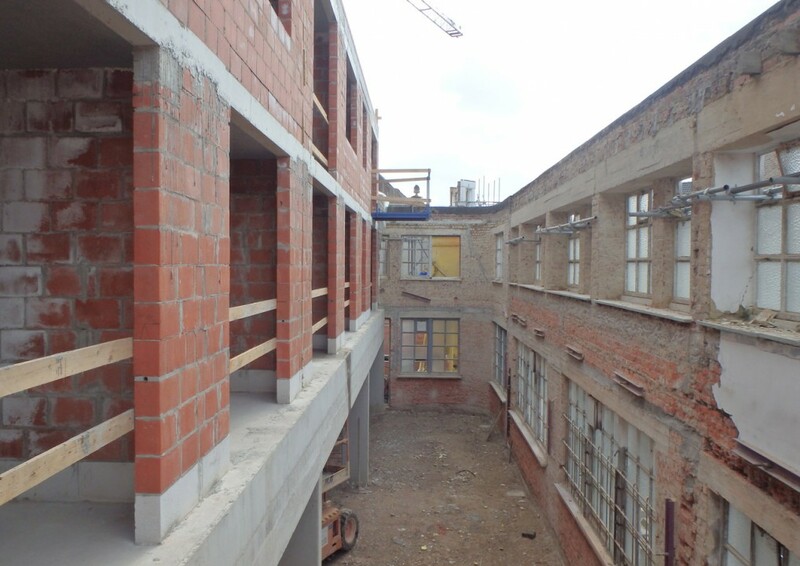 The accomodation will be used by will the residents and associations in the neighborhood and the school. 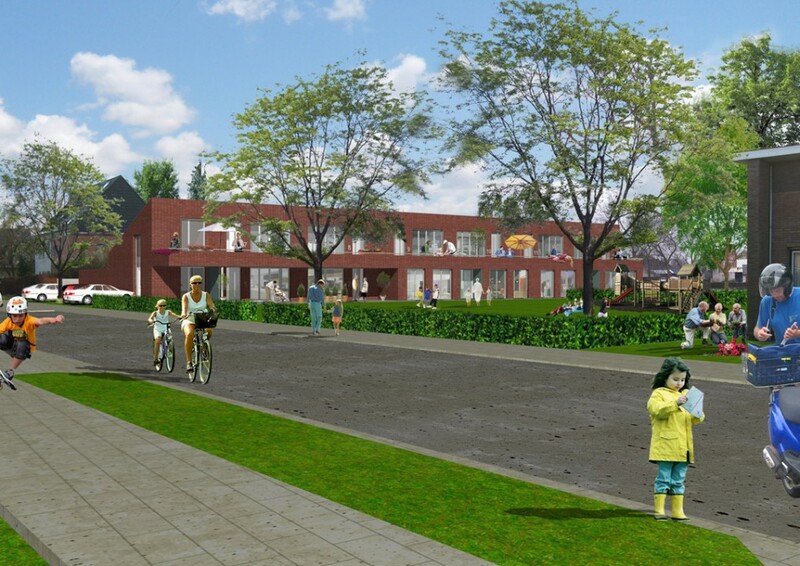 Building phase of our project “Housing Factory Hogeweg” has begun. The former knitware factory Henri Verhulst on the Hogeweg in Erembodegem, Belgium, gets a residential purpose (20 housing units). By keeping existing facades and re-using valuable parts of the exisitng buildings the overall characteristics of this example of interbellum architecture are conservated. 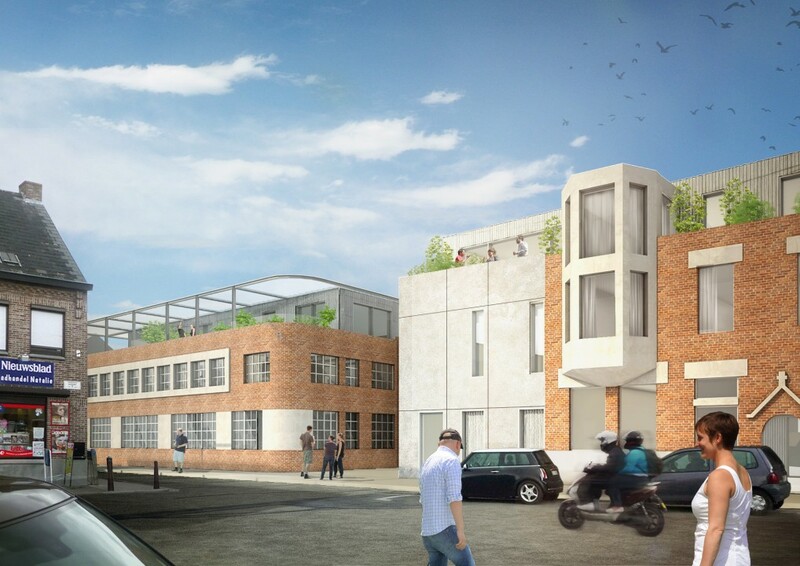 The space with exisiting buildings wil be redeveloped into a distinctive housing factory. The Northern part of this lot will be transformed to a “factory garden”. Article in Belgium newspaper Het Nieuwsblad. 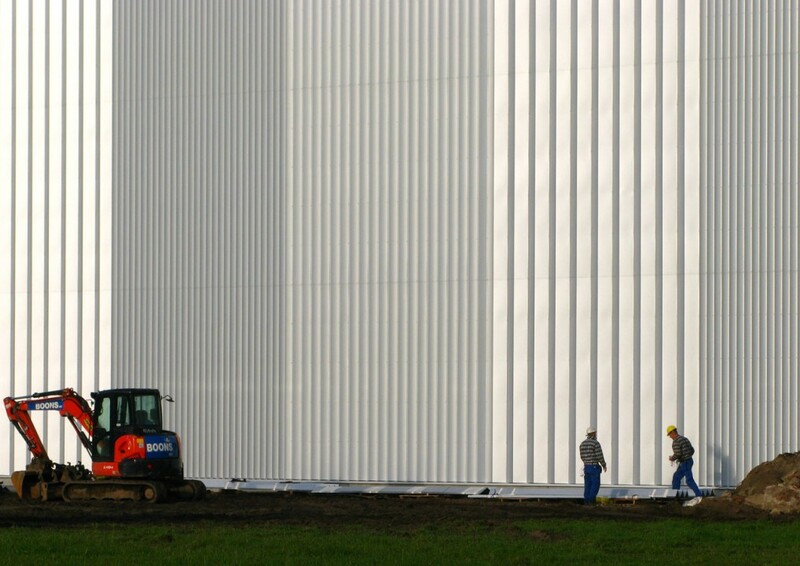 Very good progress on the construction of the new factory building in Herentals. 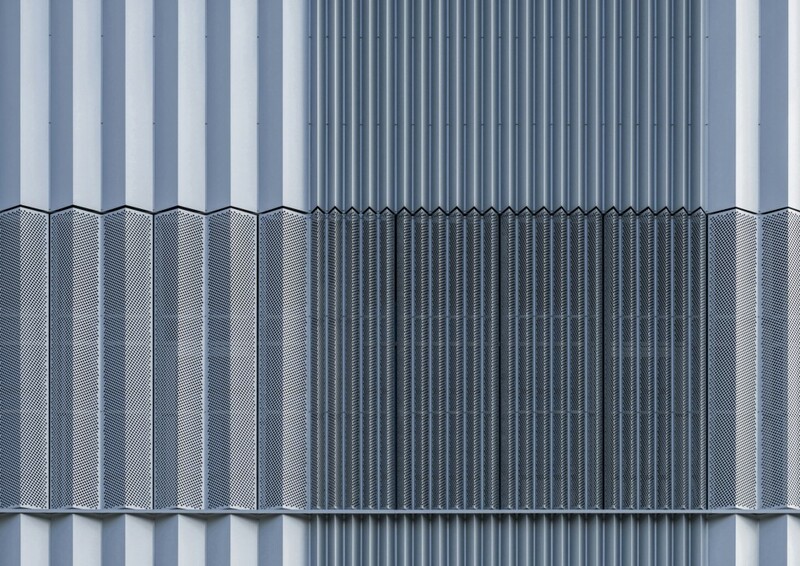 The effect of sunlight reflecting of the folded façade panels on the nearly completed East façade, surpasses our expectations. 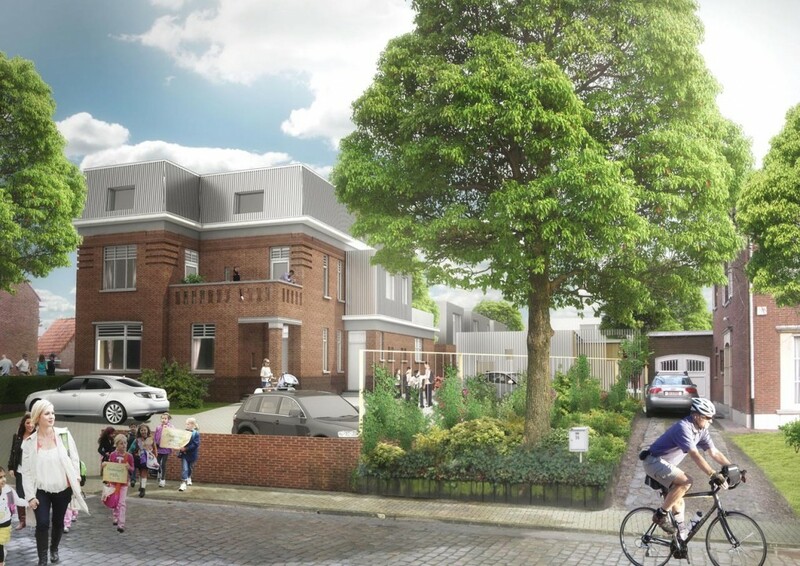 Villa Astridlaan – 2DVW won 1ste place in the Astridlaan competition! 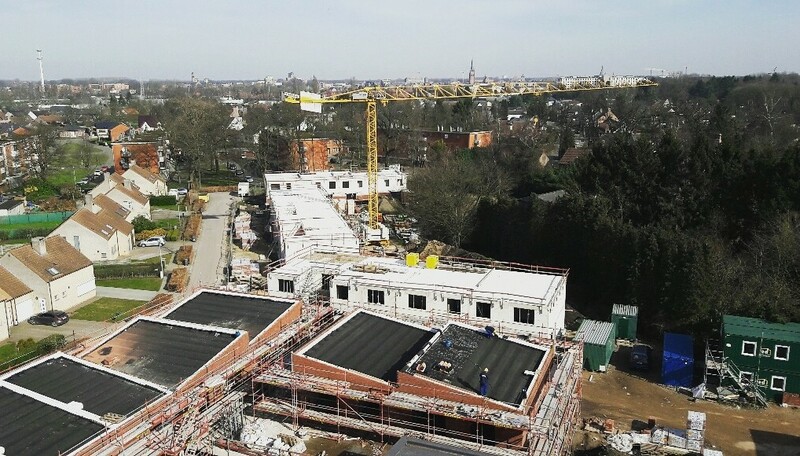 Redevelopment of former office villa on the Koningin Astridlaan (Turnhout, Belgium) for the benefit of social housing and services. Clients: Housing corporation the Ark and city of Turnhout. 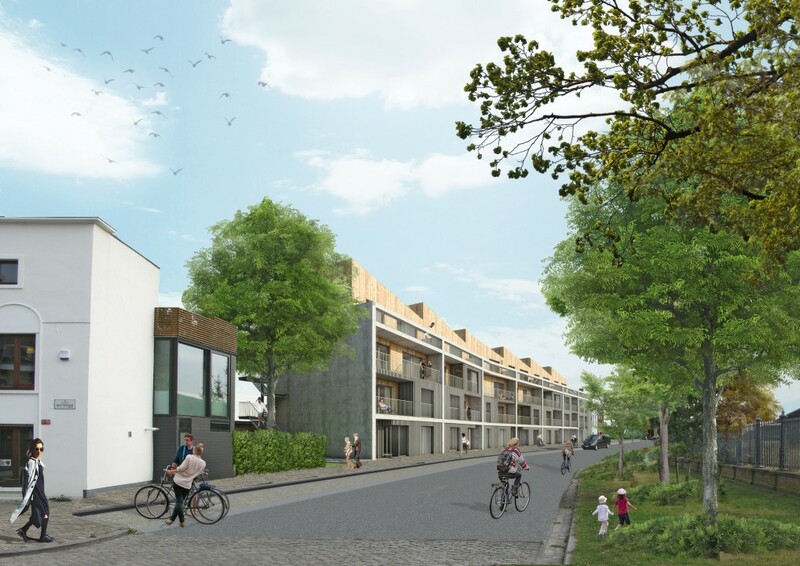 Boterwijk Gooreind – 2DVW has won 1st prize for the Gooreind competition – A substantial development of 242 houses on a 9 hectare plot in the north-east of Gooreind, Belgium. Commisioned by housing corporation de Voorkempen. 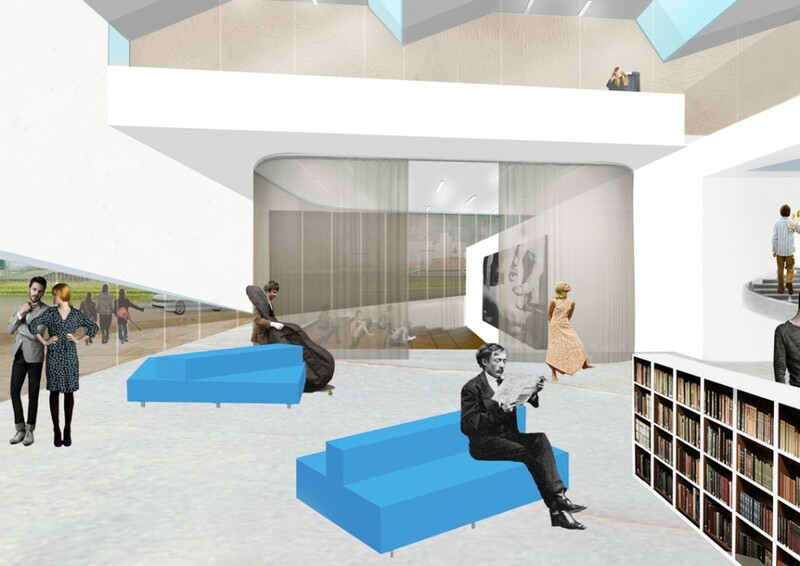 Our plan for the New Cultural Center the Jonkhove en the Sports Park Aartrijke is presented to a jury with the future users of the project and to the team of the Flemish Government Architect. View projects Sportpartk Aartrijke & De Jonkhove. 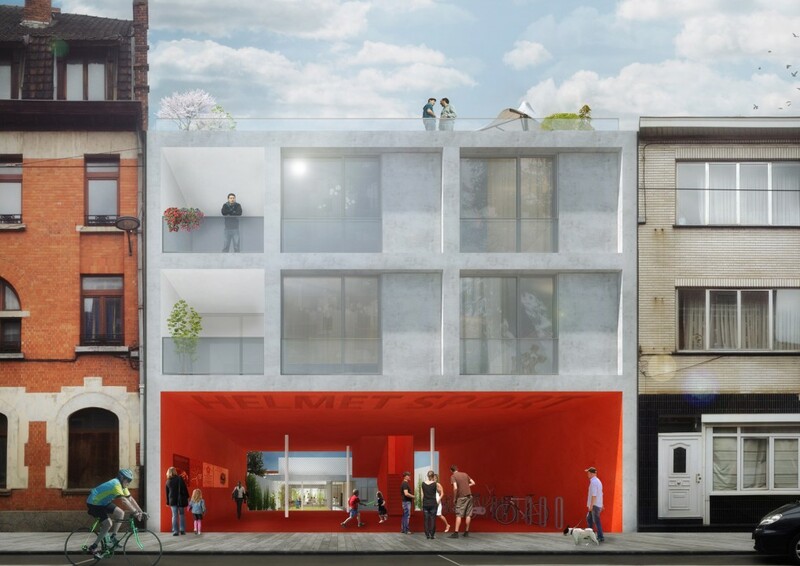 2DVW wins 2nd prize for ‘Amphorastraat Wingene’, our entry for Open Call (2303), Flemish government architect . 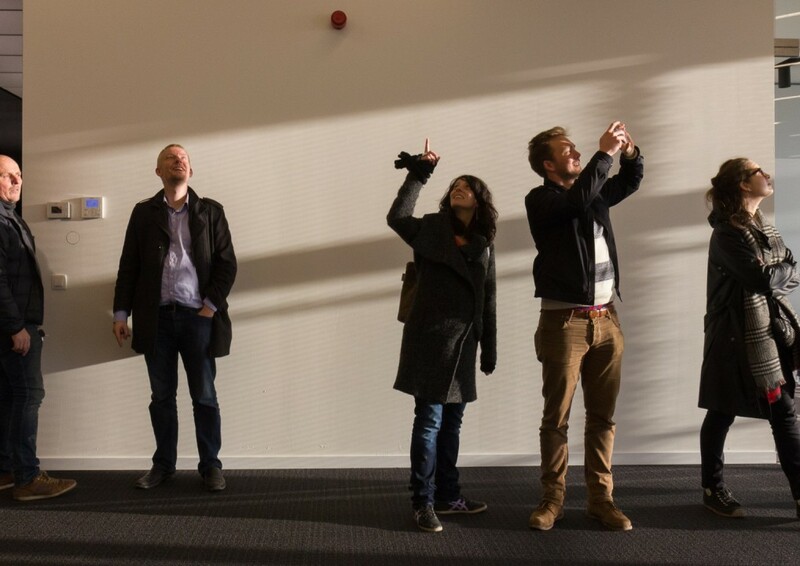 In collaboration with OPEN Architecten. 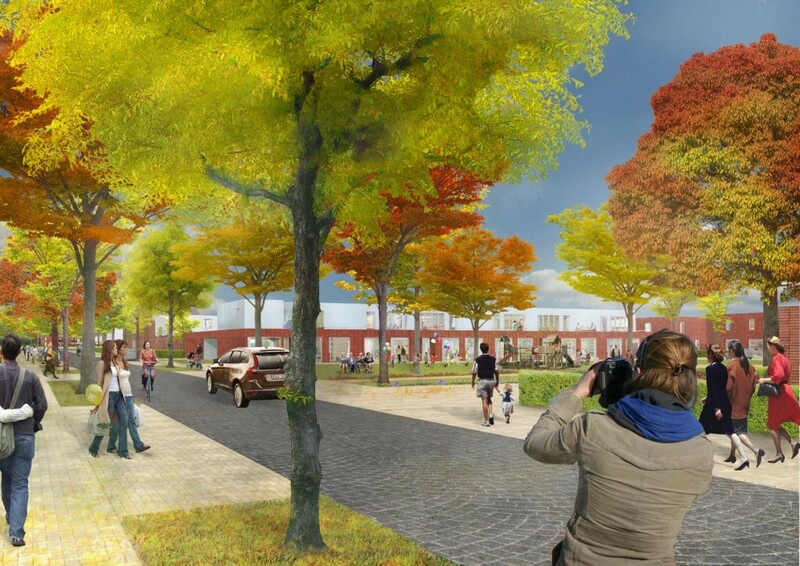 VMSW endorses design ‘Housing factory Hogeweg’. 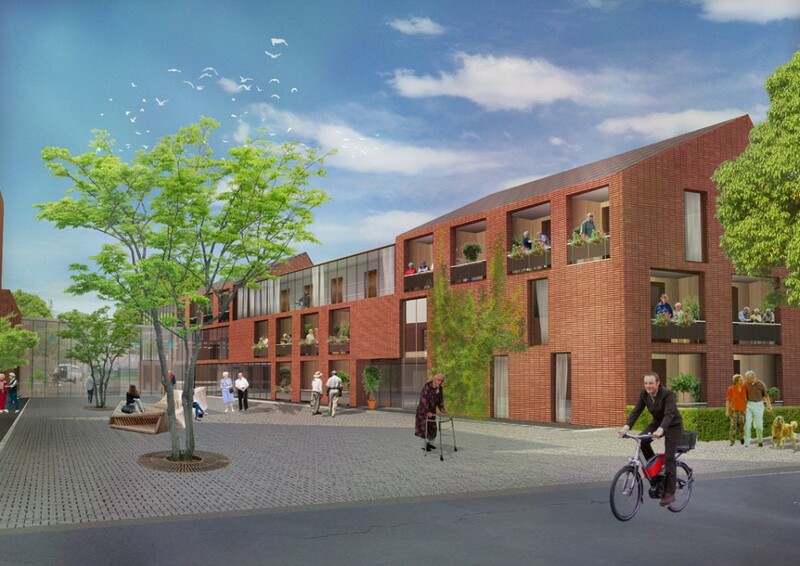 The Flemish Social Housing Corporation (VMSW) endorses the preliminary design for the ‘Housing factory Hogeweg’. The building permit file is in draft. View project Housing factory Hogeweg. 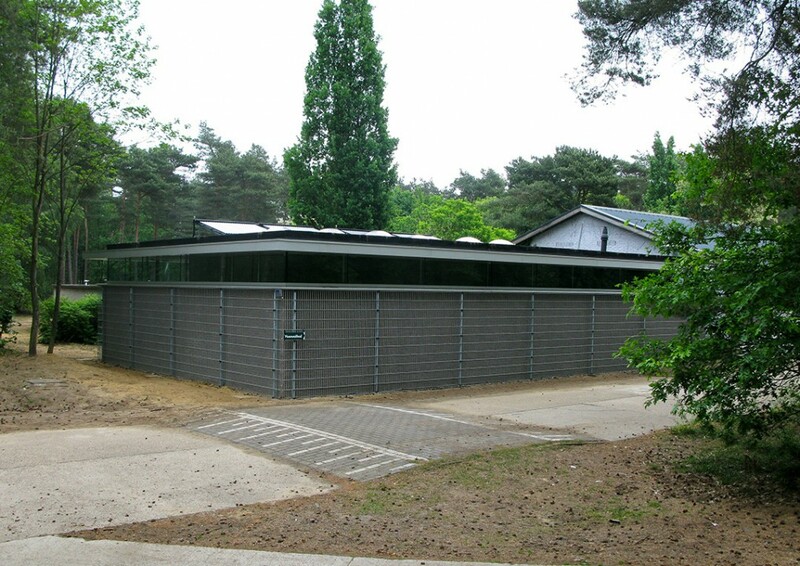 2DVW’s sanitary pavilion in park the ‘Hoge Rielen’ in Belgium is nearing completion! In collaboration with OPEN architecten. 1st prize for ‘de Veranda’. 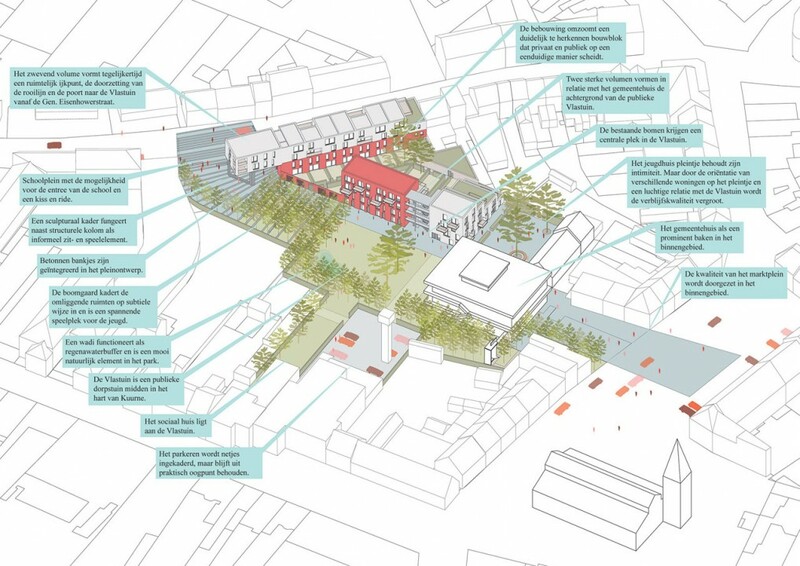 2DVW & OPEN Architects win competition for Gigos jouth work with accommodation; ‘De Veranda’. Plan elaboration for this youth center in Klein Sledderlo, Genk (BE) starts September 2011. Our project for the City Academies Deinze is published in A+230, the Belgian archtictural magazine. 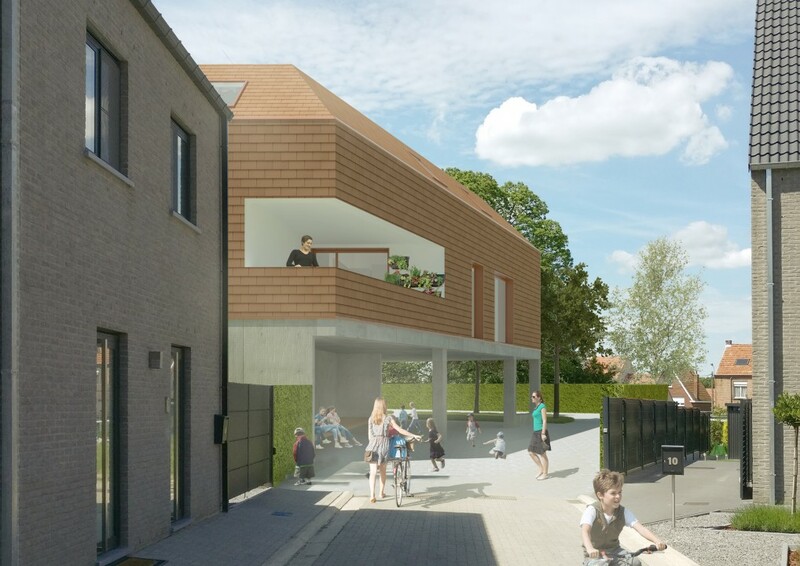 This was a project for the Flemish Government Architect (Open Call) and the city of Deinze. 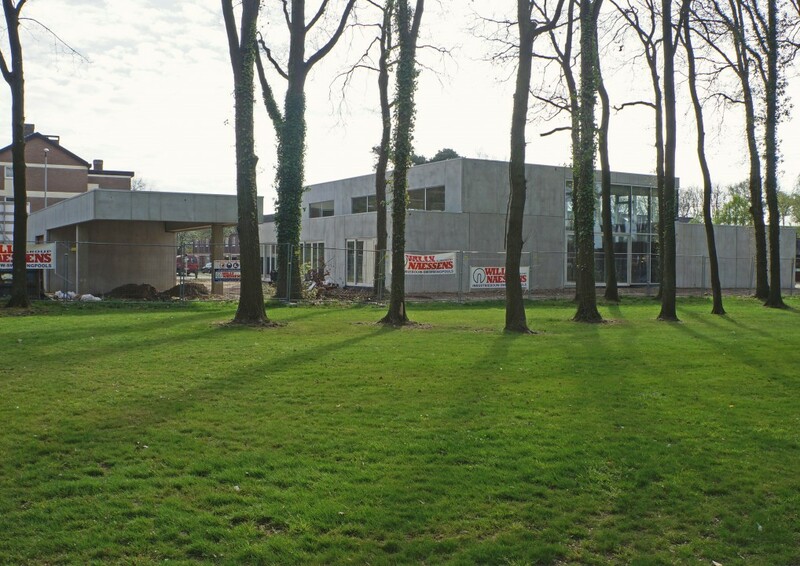 View project City Academies Deinze. 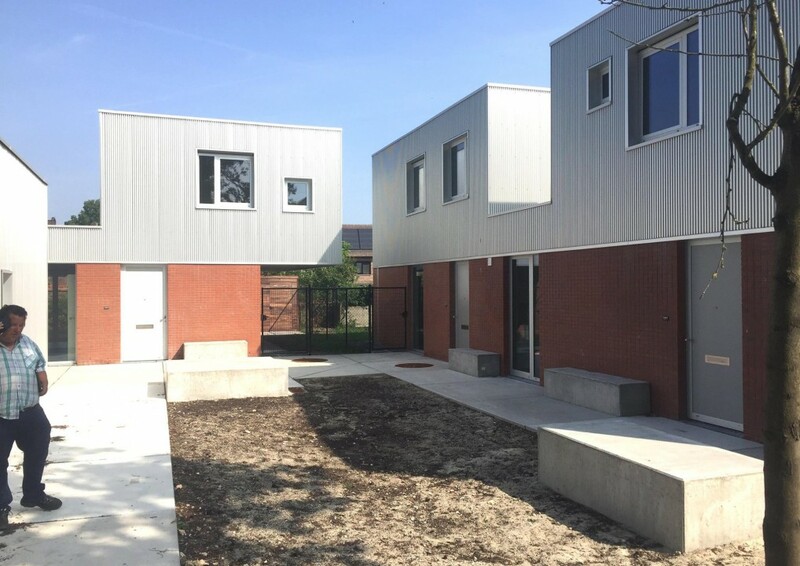 2DVW in collaboration with Open Architects wins 1st prize for 12 new houses in the center of Wommelgem (BE). Centre for Social Welfare (OCMW) is client of this project. View project Living at the park. 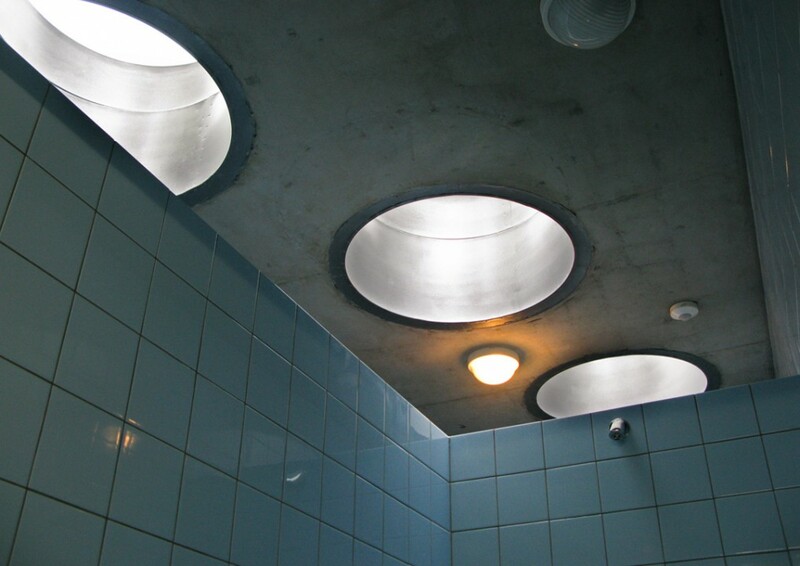 Open Architecten & 2DVW win competition for sanitary pavilion in the ‘Hoge Rielen’ park in Kasterlee (BE).